Knitting for Charity: The Mother Bear Project | Oh Sarah O ! During the summer I knew that I wanted to do something with my time to help others. 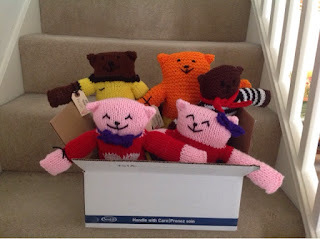 Awhile back, I had heard about The Mother Bear Project, a non-profit organization that provides hand knit and crochet bears to children in emerging nations affected by HIV/AIDS, and I had noticed that they have a growing online community on Ravelry which included monthly bear themed challenges (we all know that I love a good challenge!). I have inherited a TON of random yarn, so this seemed like the perfect project to both stash-bust and help a good cause, so I decided to give it a go. 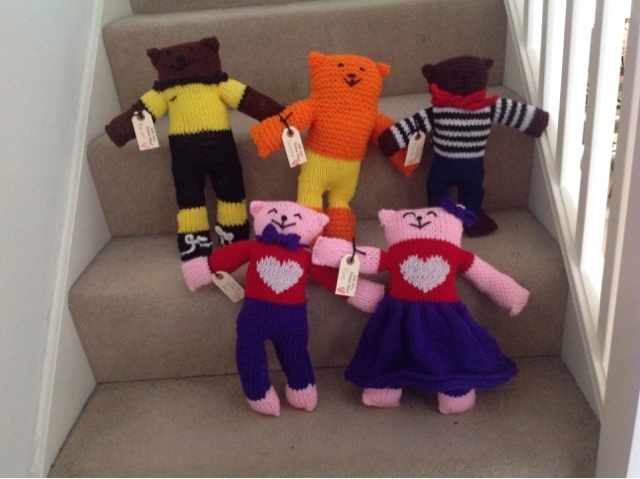 For a $5 donation, you can receive either a knit or crochet pattern and some tags to name your finished bears. I chose the knit versions. For my first bear, I decided to knit the pattern as written including the scarf. 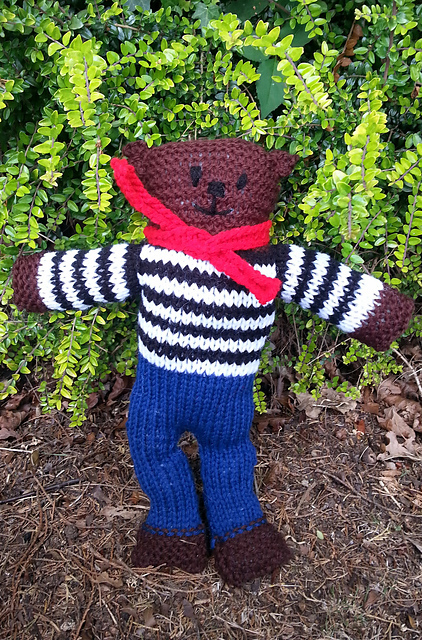 This one is inspired by Frenchmen and my husband's first teddy bear. 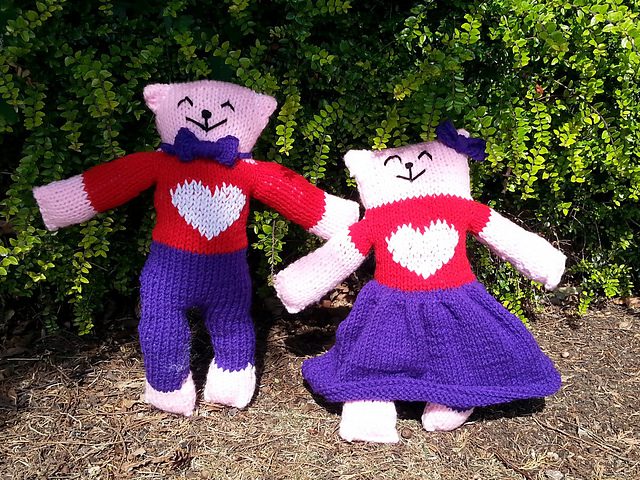 These bears are obviously inspired by Valentine's Day. This bear has his swim trunks on because he's ready for summer. 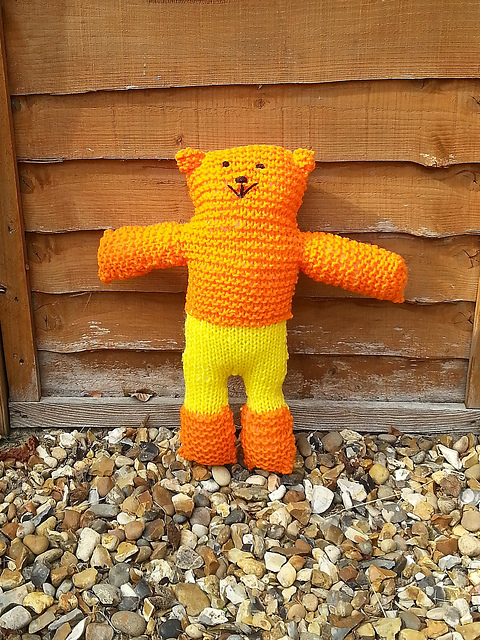 In July I wanted to knit a sports themed bear, so I created a bear inspired by the South African Kaiser Chiefs Football (Soccer) Team. Here they are on their way to their new forever homes.